WE ARE HIRING!SEND US YOUR RESUMES AND APPLY TODAY! "I feel treated like family and repeat issues are treated seriously with patience. I recommend Edmonds Import Auto to others." "They do excellent work and sell nice cars Fair prices and work is done in a timely manner!" We specialize in repairing and servicing import vehicles, but welcome domestic vehicles as well. We hold customer service in the highest regard. 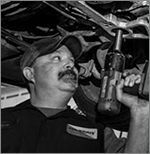 Our professional, ASE Certified technicians perform various repair and maintenance services, apart from rebuilding transmissions, and are trained to do the job right the first time and in a timely manner. As European and Asian car repair specialists, we understand the unique services these vehicles require for proper maintenance. We also have the latest diagnostic tools and equipment to pinpoint issues quickly, saving you time and money when troubleshooting and fixing problems. We hold our customers in the highest esteem and are always willing to work with them to come to the best automotive solution to fit their needs. While our technicians are working on your vehicle, you can enjoy the various amenities in our spacious and comfortable waiting room. We provide clients with complimentary coffee, tea, and water and we also have free Wi-Fi. We offer courtesy shuttle service in case your vehicle needs to stay at our repair facility for more than one day. Edmonds Import Auto also offers customers financing options for their repairs, customer service guarantees, and generous customer loyalty and referral programs. All of our auto repair and maintenance services are backed by a 36 month/36k mile warranty and come with free digital inspections. 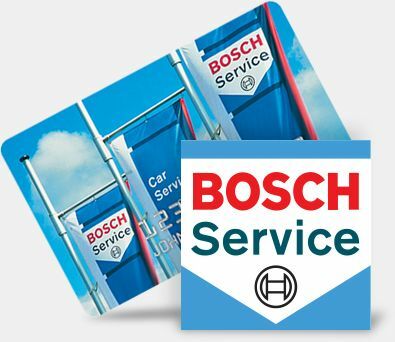 for Bosch Service & Parts! To be a Bosch Service Center, we passed a rigorous certification process based on technical skill, customer service, and facility design and appearance. To remain in the Bosch network, we must maintain the highest levels of technical ability and customer satisfaction. Get the Best with Bosch!